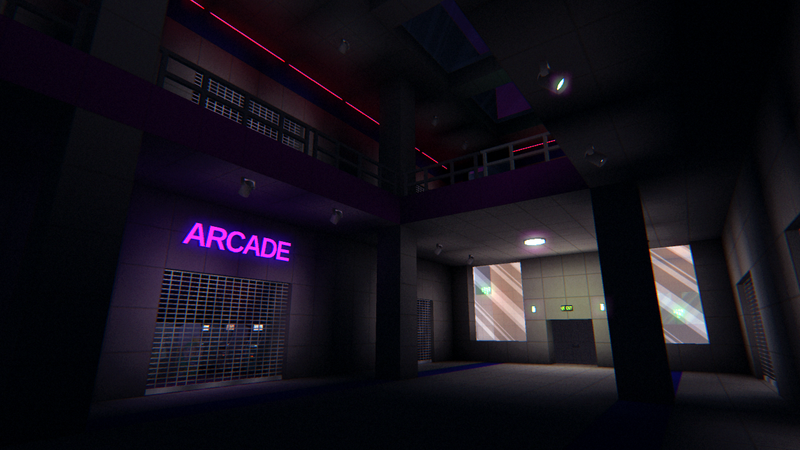 Things have been a little quiet around here since 2014, but I’m still hard at work finishing NEON STRUCT. The big news this week is that I announced a release date! NEON STRUCT will be available May 20 for Windows, Mac, and Linux. I had planned to announce the price at a later date, but this morning, I read this post by Dan Adelman on indie game pricing. It echoed some things I’ve been thinking about, but what surprised me was the suggestion to be transparent about plans for future discounts. That’s something I was unable to do on Eldritch; in fact, I had no real plan for it and chose to embrace deep discounts early to quickly recoup my development costs. With NEON STRUCT, I’m launching from a more stable position, and I’m going to try something different with its pricing. GBP and EUR prices on Steam will be £11.99 and €15.99 respectively. Steam’s default pricing suggestion was somewhat higher—I believe they adjust it to include an estimated VAT—but I feel that’s unfriendly to consumers, so I’m choosing to take a smaller revenue from those regions so the customer sees an equivalent price tag. Why is NEON STRUCT more expensive than Eldritch? The value of a game is subjective, but I believe NEON is a bigger, better-looking game than Eldritch. It has a fantastic soundtrack and more than one thousand lines of written dialogue. But as Dan Adelman said in the aforementioned blog post, games are experiential. Players need to actually play a game in order to determine their own valuation of it. Like so much else in NEON STRUCT, I’m looking for a solution to this in the classic PC games that inspired me. In 1998, I played the demo of Thief: The Dark Project. I was hooked and immediately started saving to buy the full game. Thief and its indubitably better sequel were formative experiences which set me on a course that led directly to Eldritch and NEON STRUCT. In other news, I will be speaking at GDC on Tuesday morning about procedural level design in Eldritch. I’ll try to make slides available online shortly after that. And don’t forget to check out Kyle’s devlog for Gunmetal Arcadia. With its combination of roguelike mechanics and retro aesthetics, Gunmetal Arcadia is on track to be the definitive statement of who Minor Key Games is. And Kyle is way more disciplined about updating his blog on time than I am.